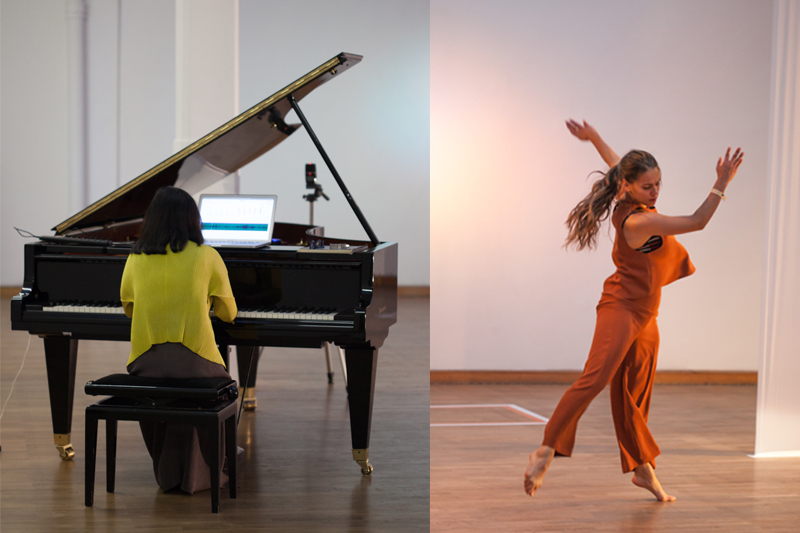 Mozart’s string quintet in g-minor KV 516 serves as the pivot point for a transdisciplinary research project among musicians and dancers. The composer and performer Karlheinz Essl dismantles the classic score with self-developed computer programs into molecular particles, which he expands to new sound scapes, serving as a choreographic grid for the performers. 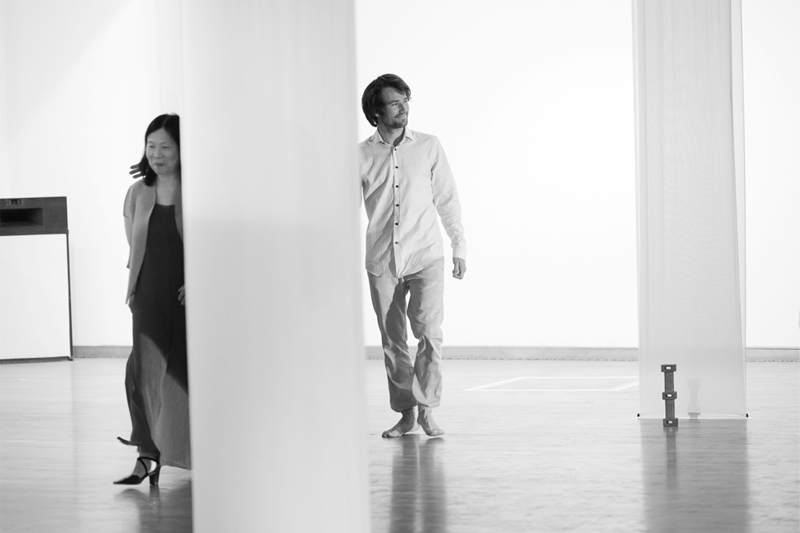 The deconstruction takes place as a Real-Time-Composition in a spontaneous interaction with the dance artists – an investigation, whose development is completely open. The piano fantasy in c-minor KV 475, interpreted by Cecilia Li disolves and anchors the open grid in regard to a compositional resolution. Further, exemplary formulas of Mozart’s piano music describe and inform algorithms. 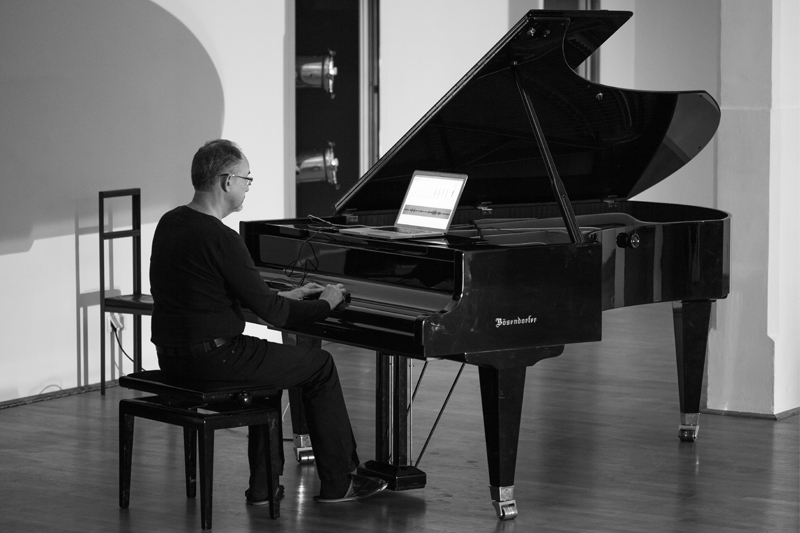 In interaction with the dance artists, Karlheinz Essl improvises with his lexicon-sonata, a highly expressive piano piece, performed on a Bösendorfer grand piano without any key contact. 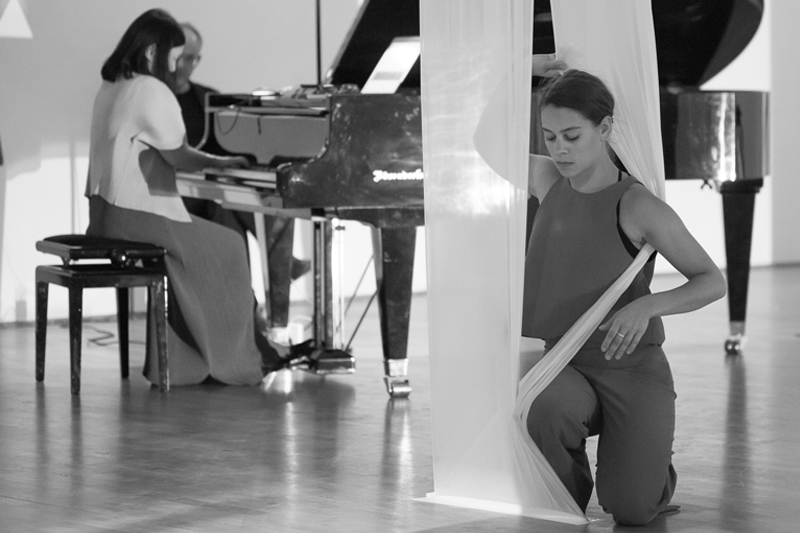 Those digital generated sound figures counter punctuate Mozart’s innovative piano fantasy c-minor KV 475, interpreted by the extraordinary Mozart interpreter Cecilia Li. She is anchor and interface of the kinetic research.